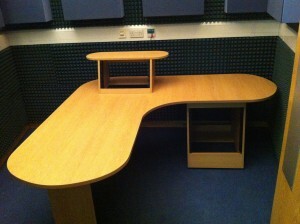 We were commissioned to design 11no. 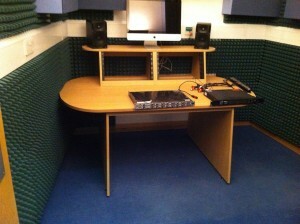 custom recording studio workstations and seven custom 5no. 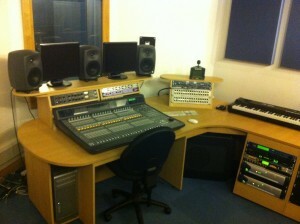 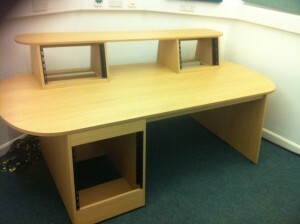 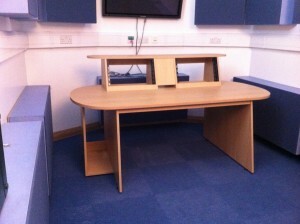 octave oak keyboard stands along with reupholstering damaged acoustic panels at Huddersfield University, Yorkshire.